Ska/mod split single extravaganza! 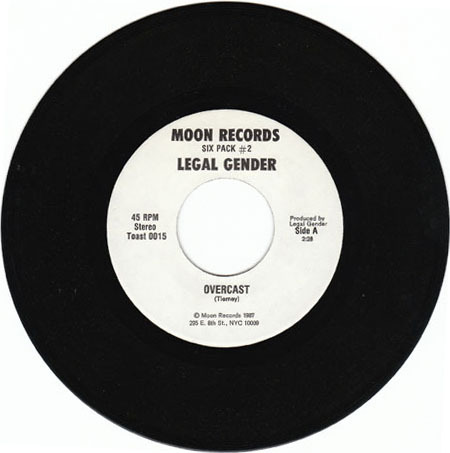 This was the only item released with the Legal Gender name on it...soon thereafter, the band became the N.Y. Citizens. 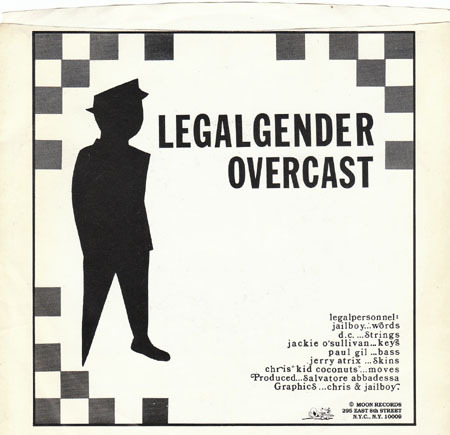 I have heard that some of the copies that were sold later on had N.Y. Citizens stickers placed over the Legal Gender name. I have not seen one of those, though. The Scene was a fun mod band that included Luis Zuluaga, later of Slackers fame. This was the last record to carry the Toast catalogue numbers. There was a Toast 17/18 single planned for the band Second Step, but it never happened. They switched over to "MR" numbering from this point onward.